The Sanctuaries Marine Biodiversity Observation Network (MBON) project seeks to provide near real-time information on the status and trends of life in the sea. 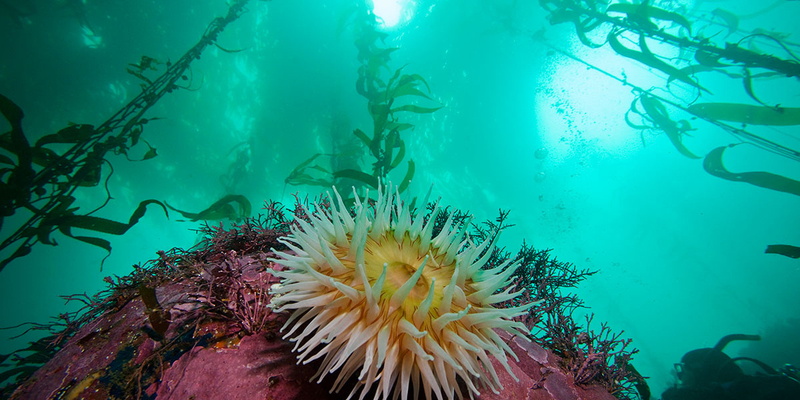 The project is designed to monitor changes in marine biodiversity in two US National Marine Sanctuaries — Florida Keys and Monterey Bay, working jointly with the NOAA Office of National Marine Sanctuaries and the U.S. Integrated Ocean Observing System (IOOS). In 2016, the team made funds available to explore potential expansion of the project into the Flower Garden Banks National Marine Sanctuary. The Sanctuaries MBON team is leading coordination and leveraging resources with the two other MBON demonstrations (Santa Barbara Channel BON and Arctic MBON) towards development of a truly national MBON. They are also contributing to development of the global MBON through the Group on Earth Observations Biodiversity Observation Network (GEO BON) and the Global Ocean Observing System. The NOPP Excellence in Partnering Award was presented to collaborators of the Sanctuaries MBON at the MBON All-Hands Meeting on May 26, 2017 in Washington D.C. To read more about the ceremony, click here. Want to learn more about the MBON project? Check out their website!